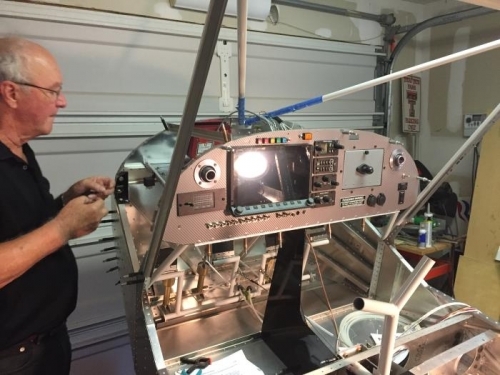 Dean came over and we decided to do a trial fit of the insturment panel in the aircraft. We discovered about a half dozen problems that will need to be addressed. First off the panel fit nicely in the aircraft. But as we discovered, we will need to trim a bit off both ends of the panel to clear the cage arms when the panel is lowered. I will use a cutoff wheel and then paint the frame black where it shows. Next, we saw that the map box conflicts with the essential bus diode. We moved the diode next the ExBus panel. A couple of L angles around the fuse door need to be trimmed to aid clearance. 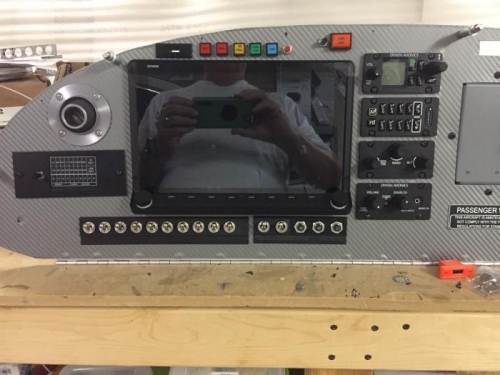 The avionics tray on the pilot side needs to have its support arms trimmed and then rebolted on the bottom side of the instrument panel bar. This is to provide cleanance for a couple of CBs and switches. 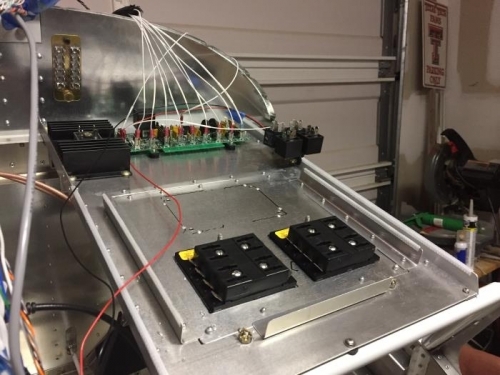 We resited the box for the fuel low level light under the right avionics tray to allow room for the essential bus diode. Once these jobs are complete we will start wiring. Picked up the 3D printed mounts for the switches and Skyview USB. They fit perfectly and look great.